AmericanWest Bank and Inland Community Bank of Ontario, California, have announced that they plan to merge, creating a larger presence in Southern California. Scott A. Kisting, Chairman and CEO, AmericanWest Bank said "Inland Community Bank is a well-respected bank and we consider it a compliment they chose us as their merger partner. This is an excellent fit because our two organizations are alike in many ways, including the value we place on outstanding customer service, our focus on business banking, and our absolute dedication to community banking." Inland Community Bank has five locations, all in California: Ontario, Duarte, Los Angeles, Pasadena, and Rialto. Based in Spokane, Washington, AmericanWest Bank is a business‐focused community bank offering commercial and small business banking, mortgage lending, treasury management products and a full line of consumer products and services. The bank currently operates 74 branches in Washington, Idaho, California and Utah. Find out more about AmericanWest Bank at www.awbank.net. Hot Summer Nights is this Friday at 5:30 pm at Arbor Crest, and will be the hottest, most magical event in Spokane Coeur d'Alene Living history. 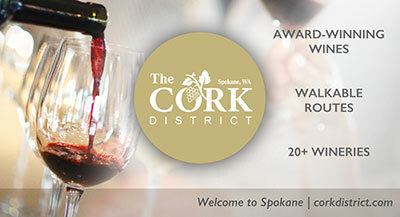 Sponsored by Tracy Jewelers, this is a celebration of all that's HOT in Spokane: fashion, food, and fun! The 2012 theme "A Midsummer Night's Dream" will have Arbor Crest adorned with fairies, lights, artists and musicians!. Concerts begin at 7pm and feature Spokane's own Tango Volcado and Peter Rivera, Unplugged. "Siren Stages" throughout the event will include art, dance, design, fashion, music, movement and more. 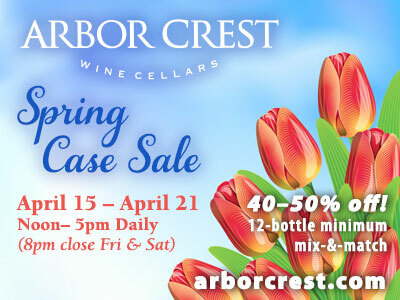 Arbor Crest Wine will be available for purchase and they have a mini food truck festival for those who want to purchase dinner and dessert. Choose from Smokin' Romes BBQ, Tacos el Sol, Veraci Pizza and Spokane Cheesecakes. Tickets for this event are just $20 and will be available through ticketswest.com. Executives and managers are often untrained in dealing with an employee's grief and trying to find the right mixture of productivity and compassion and the needs of the bereaved with other employees. According to the Wall Street Journal, workplace grief costs US businesses over $75 billion per year in reduced productivity, increased errors and accidents. An event of dynamic outreach, opportunities, and resources to help initiate this positive journey will be held at the Double Tree in Spokane on August 17-19. It is titled - "Grieving in Plain Sight" Empowered Healing Event. This event includes a collection of national speakers, presenters and outreach programs that will be available for choices in moving through the walls into new steps of healing and growth. The fee of $250 per person includes 4 meals, 7 workshops, Keynotes, Butterfly Release Ceremony, Moonlight Cruise and more! Get more than two from your workplace, family or group and save $25 each. The reduction in workplace loss due to grief is worthy of the time and outreach. Reducing the effect in personal lives makes it priceless. The 6th Annual Spokane Builders Hall of Fame honored two long time building industry name-stays, Bob Tomlinson of Coldwell Banker Tomlinson and Jim Frank of Greenstone Homes and Neighborhoods. The event's Keynote Speaker, Mayor David Condon commented in his remarks that it was important to recognize that while these two have both had very distinguished careers, they were selected for this honor for what they have given back to our Spokane community. A committee made up of members of the building industry determined that Bob Tomlinson and Jim Frank were most deserving of this year's award. They now join a growing list of past Hall of Fame recipients that includes Craig Condron, Gordon Finch, Vern Ziegler, and several others. The Spokane Builders Hall of Fame is an annual event to honor and recognize the best our industry has to offer both as businessmen and as community servants. The 7th Annual Spokane Builders Hall of Fame will be held next summer, a date and location has not yet been determined. The Spokane Home Builders Association is the premier voice in the building industry of the Inland Northwest and champion of homeownership, quality community development, and affordable housing. Washington Trust Bank is expanding its call center operations and is leasing 18,000 square feet on the fifth level of the Holley Mason Building, 157 S. Howard. The Hotstart "Charity Championship" softball game, now in its 4th year, matches Hotstart's company-sponsored softball team against a team of fellow employees to raise thousands of dollars for local children's charities. Last year, the event raised nearly $4,000 for the Babe Ruth Bambino Buddy Ball Division and the organizers hope to raise even more money for this year's beneficiary, Hutton Settlement Children's Home. In the months leading up to this year's August 11th event, Hotstart employees gather donations from area businesses and individuals for the selected charity. In addition to monetary contributions, donated items are also accepted which are raffled off at the post game picnic. Proceeds from the raffle are donated to an organization that assists children in need. This year the tournament beneficiary is Hutton Settlement Children's Home, an organization that provides a healthy and safe living environment for children, ages 5 to 18 in need of a long-term alternative home. This year's Hotstart Charity Championship Softball Game is August 11th at 4pm at Orchard Park in Spokane Valley. The event includes a barbecue dinner for all attendees with raffle prizes given out following the game. The HOTSTART intra-company rivalry began in 2009 following the conclusion of a company sponsored softball game in which an employee not participating on the team challenged several players to a sand lot game, claiming he could organize a team of fellow employees to beat the company-sponsored team. In subsequent years, the event has grown and generated great involvement among HOTSTART employees and family members. The 2012 contest already has an impressive list of raffle prizes and more sponsors will be added in the upcoming weeks. Fatbeam, a Competitive Access Provider serving the Pacific Northwest, has recently signed a long-term agreement with PocketiNet to allow them access on Fatbeam's Yakima and Sunnyside fiber optic networks in Washington State. Also included in the agreement is access to Fatbeam's planned network extensions to East Valley (Yakima) and the Moxee, Washington areas. The agreement better positions PocketiNet to deliver fiber optic based Internet and phone service solutions to the business community and connect local business to the rest of the world, as well as across town. As PocketiNet plans to open a sales and service office in Yakima the partnership also has the potential to create jobs in the local area. Additionally, Fatbeam is working with the Yakima County Development Association to search for further economic development opportunities. Headquartered in Post Falls, Idaho, Fatbeam was co-founded by Shawn Swanby, owner of Ednetics Inc. (www.ednetics.com), and Greg Green (www.greggreen.com). For further information, please visit the web site at www.fatbeam.com. Recognizing the many challenges posed by our nation's health care system today, Gonzaga University will prepare more nursing professionals to become specialized leaders in this rapidly evolving field through its new Online Doctor of Nursing Practice program. The program flows intentionally from Gonzaga's Catholic and Jesuit mission, which seeks to educate women and men to become people for others. Gonzaga began offering master-level, distance-learning nursing education in 1978 and currently has nearly 500 students in four professional pathways. Now, the University will use its more than three decades of experience delivering graduate nursing programs to help inform the new program, known as the DNP. The DNP – entirely online except for one required and one optional on-campus visit – is accepting applications until Sept. 3 for its first cohort of 12-15 students who will begin classes Jan. 15, 2013. New cohorts of approximately 20 students each are expected to enter each subsequent summer, fall, and spring semester. Graduates will receive a Doctor of Nursing Practice degree upon finishing the required minimum of 30 credits; some students may need to complete up to 36 credits, depending on their master's programs. The DNP differs from a Ph.D. program, where students develop their own research to conduct a major research project. DNP students will conduct a major scholarly project but will do so using existing evidence. The DNP students will identify problems or inefficiencies in their areas of practice – whether as family nurse practitioners, family psychiatric mental-health nurse practitioners, or health system leaders – and use existing scholarly research to implement and expedite their changes. For more information about Gonzaga's new Online Doctor of Nursing Practice contact Gonzaga's Leslie Hebert at (509) 313-6228 or via e-mail hebert@gonzaga.edu. The Cobra Polo Classic benefitting Ronald McDonald House Charities of Spokane is Sunday, September 9th, less than 2 months away. Don't miss the event that combines strength, elegance, speed and fair play with tents, hats and champagne. This is the largest charity polo match in the United States, and all proceeds benefit Ronald McDonald House Charities of Spokane. Tickets are $175/person and $350/couple if you register before August 12th. Sponsored tables, which include 10 seats, field and program recognition, are available for $2,500. Visit www.rmhcspokane.org for more information. The 13th Annual Scramble for Hospice is Friday, August 3 at Indian Canyon Golf Course and supports our community's only Hospice House. Registration is only $100 per player and includes cart rental, green fees, goody bag, dinner to follow and the opportunity to engage in a variety of fun contests and promotions. For more information or to register please call Jackson Williams at 509-532-6731 or go to www.hospiceofspokane.org/pages/scramble.aspx. The Idaho Cuisine magazine has hit the Streets! The 2012-2013 annual issue of the Idaho Cuisine is out! You can find one at a participating restaurant, winery or wine bar near you in the days to come. The Idaho Cuisine is North Idaho's premier dining and entertainment guide featuring many of the area's premier dining destinations, wineries, wine bars, specialty food shops and more.